The building that provided relief to so many, is no more. Huisinis public toilets were leveled today to make way for the new Huisinis Gateway development. Excavators will be hard at work over the next four weeks preparing the site for foundations and a new carpark. They will then move up the road to the quarry that will be turned into a licenced camping area for campervans. The construction project will run until August, so the Trust has installed temporary toilet facilities opposite the development for the duration. The existing carpark has been taken out of use as it now forms part of the construction site. Temporary parking space is available over at the Scarp jetty. The recent decision by Scottish Water to suspend the new water main to Huisinis will hopefully only have a minor impact upon the project. We had planned to install a water supply at the campervan site. This will no longer be possible. The existing supplies down at the Huisinis Gateway will be made available for campers, alongside the new chemical disposal point. A decision on how we will operate the showers will be made once we know the outcome of the Scottish Water review. The funding search is still on for the finishing details. Our application to the Scottish Landfill Communities Fund was successful. £4500 has been received to provide waste recycling bins. This will cut the volume of waste heading to the landfill site from Huisinis. Bord na Gaidhlig has also awarded us £1500 towards the cost of bilingual signage. Bunavoneader hydro-electric scheme is finally operational! 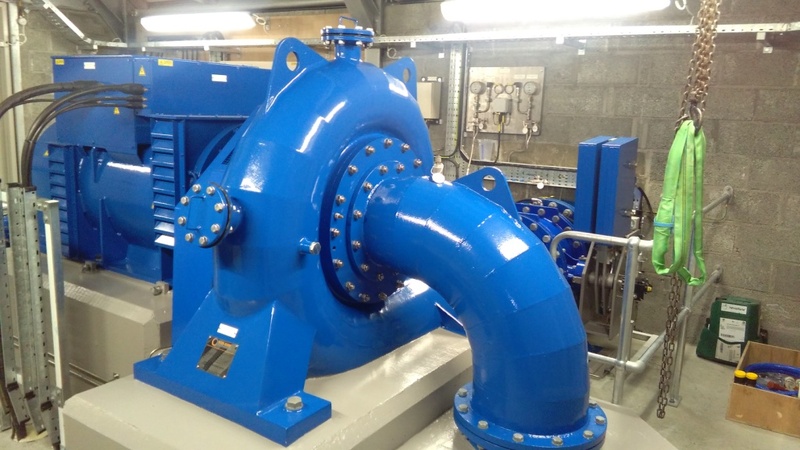 Back in July, Ross-shire Engineering handed the scheme over to River Generation Limited (RGL). RGL is the developer and the joint venture company formed by the Trust and Sustainable Technology Investors Limited. The main works were complete and the scheme entered a phase of close monitoring. Despite three weeks in October with no rain, we have now emerged from this phase, and all systems are go, as we enter the rainy season. Nestling amongst the houses in Bunavoneader, you’ll see a new building , the size of a double garage, with a red roof. This is the turbine house located at the bottom of 250m of 630mm pipe. The pipe brings water form a new intake up the river behind the old dam. The turbine is located inside, along with the electricity grid connection point. Water is returned to the river at the side of the building. Inside the building is a 100kW Francis turbine. You’ll just see in the picture above, the intake pipe entering the buiding, under all the dials on the wall. The pipe or penstock feeds water around the outside of the turbine, through the blades and out from the middle of the casing, down into the ground. The big blue box with the black wires is the generator which is attached to the spinning blades to make electricity. The scheme is now exporting electricity to the Harris grid. It is forecast to generate 371,000 units of electricity each year -enough to power over 100 homes. The crofter and the Bunavoneader-Meavaig North grazings committee will benefit directly from a share of the rent paid by RGL. 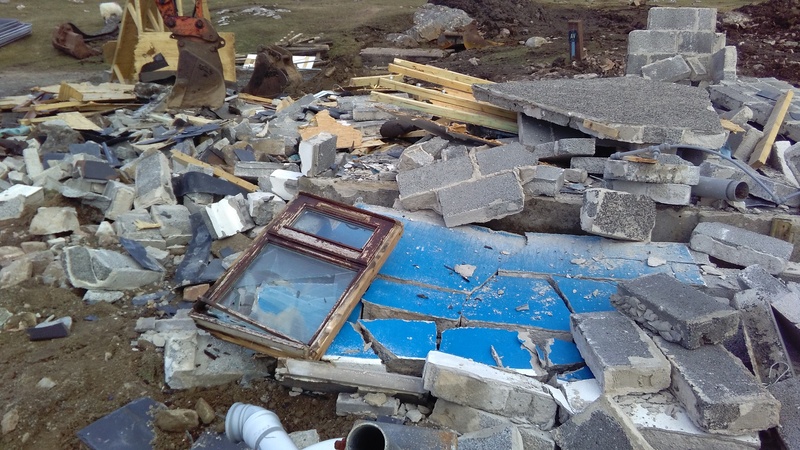 The wider North Harris & Scalpay residents will benefit indirectly through the Trust’s share. The scheme is a good example of how the Trust aims to make best use of the 25,000ha North Harris estate for the benefit of the whole community. 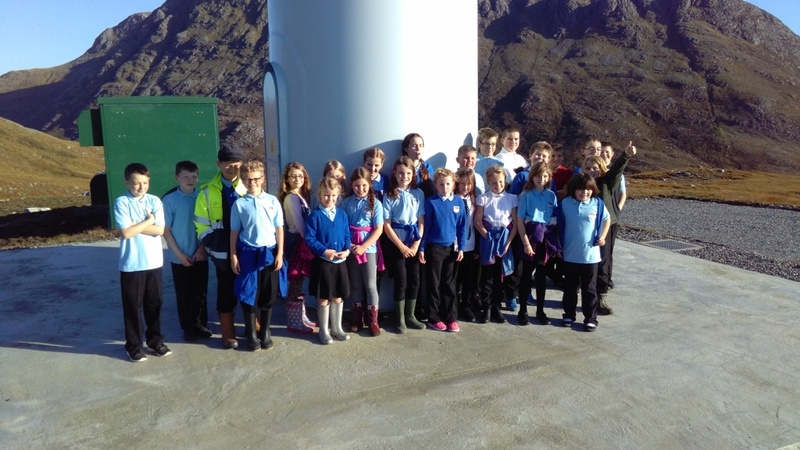 The Tarbert Primary School Science Club members visited the Monan Windfarm last week. On a still day, they took in the views and got up close to a 500kW Windflow wind turbine. Work is now nearly complete on the new windturbine at Outend, Scalpay. 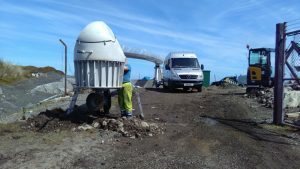 An Orenda Skye 50kW turbine has been installed over the last few weeks by West Coast Energee from South Uist. The grid connection has been completed and there’s a satellite broadband connection for engineers to monitor operations. 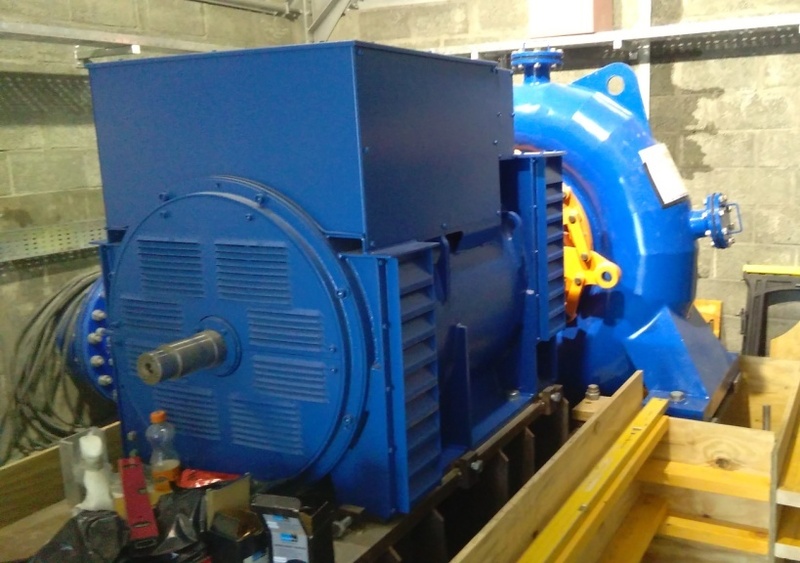 The Scalpay turbine is one of ten machines being installed by Orenda Energy Solutions for Britannia Energy. 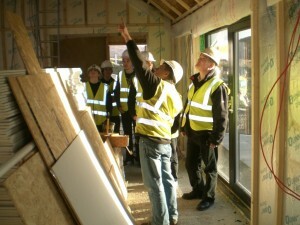 One of their directors, based in Inverness, was here last month visiting the site for the first time. NHT has leased the site to Orenda for 25 years. Various improvements have been made to the “peat road” as part of the project. The cost of upgrading the electricity grid for the turbine made the project non-viable for the Trust to develop itself. 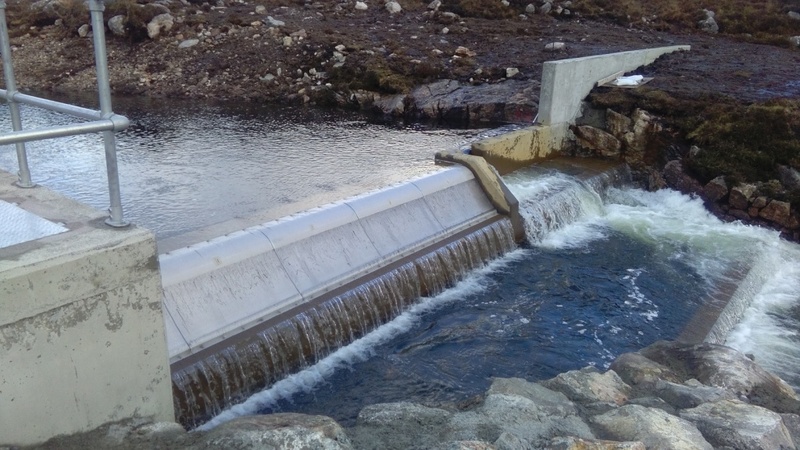 The last update on the Bunavoneader Hydro-electric Scheme was in September when the sun was still shining and the intake was being cast. Since then, much water has flowed down the river. The intake was completed and over the winter, the surrounding area was landscaped. When the weather improved, work started at the bottom of the scheme, constructing the turbine house. At the end of April, amongst snow showers, the external works are complete. Technicians are huddled together inside installing cabling and control equipment in the turbine house. The key milestone will be reached in mid-May when the electricity grid will be connected to the site. Provided we have enough rain, the scheme will be commissioned soon after. 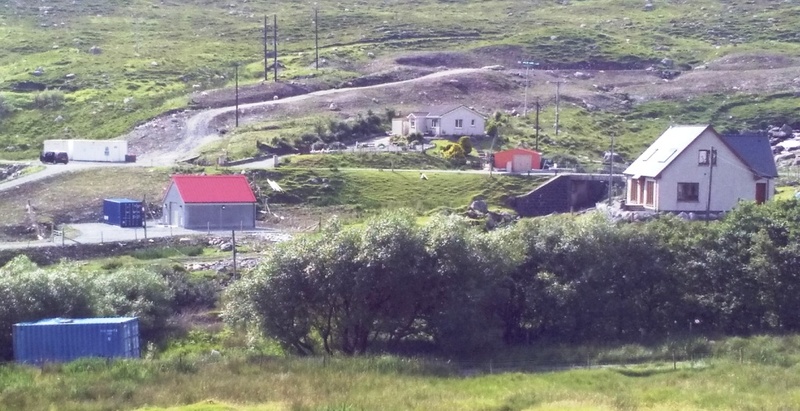 What are the chances of a June drought in Harris? If you w ere out and about around Harris during the last few months it is possible you came across groups or individuals working to dig up or treat gunnera plants. Local volunteers, Sir E Scott pupils, the John Muir Trust and Glasgow University Students all mucked-in and helped NHT staff and contractors to treat the majority of the outlying populations of gunnera. This effort hopefully helped to limit further dispersal and whilst we were at it, field trials were set up to test a range of treatment techniques. During the Winter months the gunnera will die back and remain dormant awaiting the Spring, but we will be using this time to plan for next year’s campaign and could do with the help of locals to establish exactly where to go and look for plants. North Harris Trust has been mapping the locations of gunnera and other non-native invasive plants. The areas covered can be seen here. At the moment our mapping coverage is limited to North Harris, but the project covers the whole of the island and we aim to add South Harris maps as soon as possible. Amhuinnsuidhe, Ardhasaig, Kyles Scalpay, Lacasdale, Central Tarbert, West Tarbert, East Tarbert, Scaladale, Scalpay South, Scalpay North, Reinigeadal. Note, at this stage the markers on these maps do not necessarily represent individual plants. They are just highlighting areas we need to visit. If you feel there are gaps and we may be missing plants, then please let us know. Email Ordnance Survey grid references, or mark the locations on the map and forward to us. It is crucial for success that all the plants are treated within each population. As this project progresses it will become harder and harder to find the remaining plants and the more ‘local eyes’ we have the better. Whilst dealing with gunnera it makes sense to work on the other non-native invasive plants at the same time. 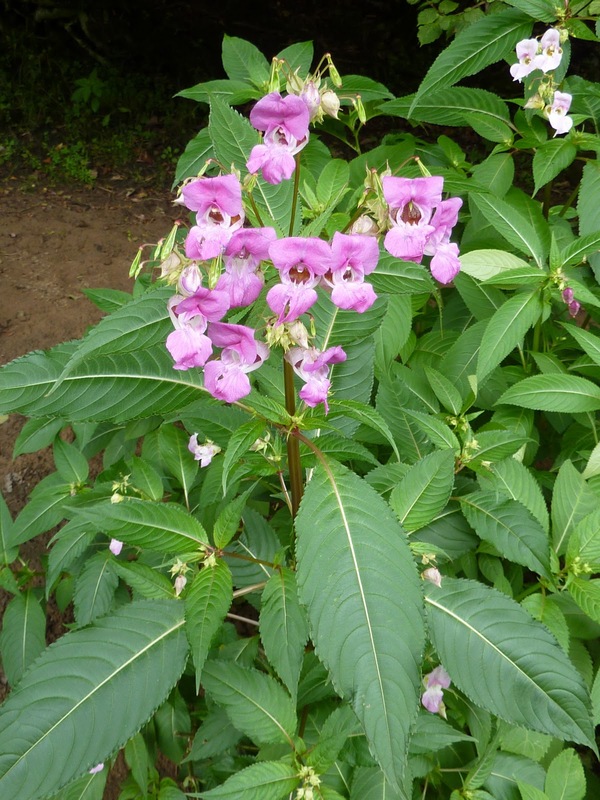 So please also report any un-mapped sightings of piri-piri burr, himalayan balsam and himalayan knotweed. 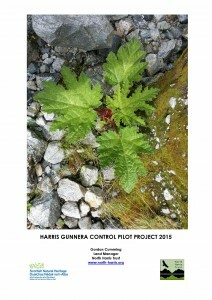 Anyone interested in the Harris Gunnera project can now download a copy of this year’s report. If you would like to get involved or even if you’d just like to be kept informed of progress, forward your email address to us and you’ll be added to the mailing list. Thankyou to all those who have already given their time to this project and to Scottish Natural Heritage and the Harris Community Councils for funding support. Posted in General, Non-Native Invasives | Comments Off on What Gunnera, Where? Twelve months ago, we were well into the build of the three business units at Oban, on the outskirts of Tarbert. The frames were up and watertight, and a group of pupils from Sir E Scott School were inspecting the work going on, on the inside. They were keen to see what each of the trades do, and what tools they use nowadays. As we entered 2015, we spent time advertising the properties in various trade magazines. We aimed the properties at the craft/food & drink sectors. We had enquiries, but it was always going to be a long shot, finding an existing business willing to relocate to a remote island. Many people fancied the idea of living in Harris, but their business ideas would have struggled to create the new jobs that the project has to deliver. As the year has progressed, we have broadened the selection criteria. By March 2015, the first of the units was ready for occupancy. March 1st saw The Harris Tweed Company, Grosebay move into Unit 1. Unit 2 saw Fiskmann Ltd move in briefly. Unit 3 was let in September to Buth Bheag Candle Co. In November we secured a new tenant for Unit 2, the well known local business Hotel Hebrides. It plans to start manufacturing a new product shortly. So, at the end of 2015, we have three rent-paying tenants and three sets of solar panels generating a small income for the Trust. Each of the tenancies will be reviewed at their first anniversary to see if they have delivered the jobs and training that they promised. The ongoing battle with the Gunnera Tinctoria, continues. 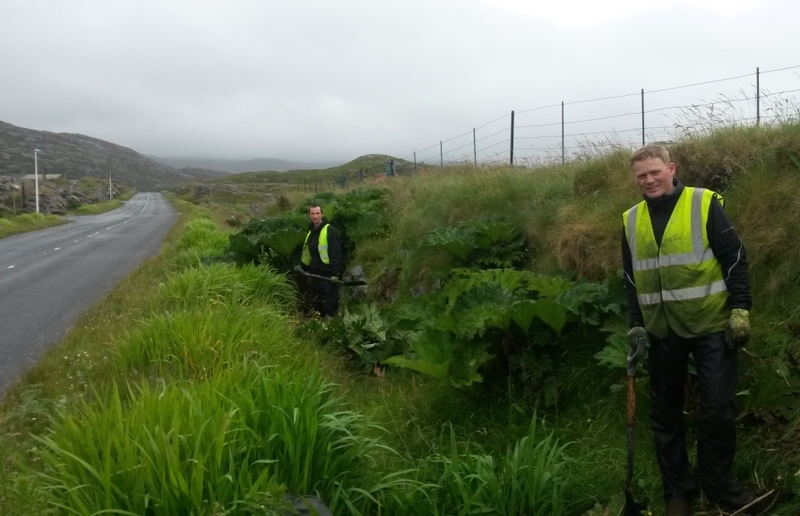 With support from the Community Councils and funding from Scottish Natural Heritage, the North Harris Trust is co-ordinating a pilot project seeking to identify the best methods for halting the spread of Gunnera. We also aim to update our distribution maps and to look at the options & costs for a full scale eradication scheme. A team from OH-MEET (Outer Hebrides- Managing Employment, Enterprise & Training), has started spraying outlying populations of Gunnera and weather permitting they will attempt work around Scalpay, Scaladale, Ardhasaig, Rhenigidale, Leverburgh and Flodabay. In the meantime North Harris Trust Staff and volunteers have continued to work in and around Tarbert. Eradicating Gunnera from Harris is going to take a large scale, co-ordinated effort, involving professional contractors and teams of volunteers. None the less, every Gunnera plant removed will reduce the rate of spread. If you can help, especially by dealing with plants on your own property, it could make all the difference. Here is some guidance on the methods we would recommend. Especially effective on seedlings and young plants, it is often surprisingly easy to dig up mature plants using a sharpened spade. 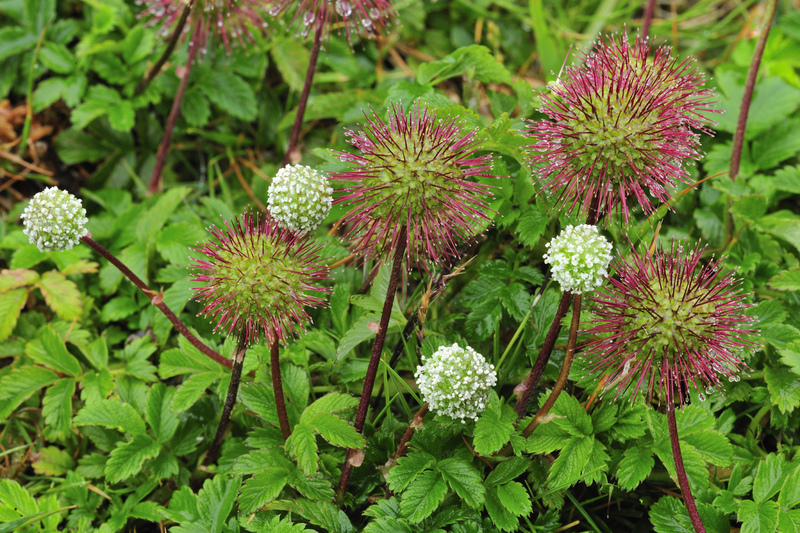 Just be aware that the whole of the swollen ‘turnip like’ root needs to be removed or the plant will regenerate and if the seed heads are mature, they must be carefully bagged and disposed of in your organic waste bin or at the Urgha re-cycling centre. The most effective, widely-available chemical for spraying Gunnera is Glyphosate. This is commonly sold as ‘Round-up’, although there are other brands. This should be applied according to the manufacturer’s recommendations, ensuring good spray coverage of the entire plant. Alternatively the herbicide can be applied as a stump treatment. i.e. cut all of the leaves just above ground level and then paint the herbicide onto the exposed wounds. This method is particularly suited to plants near watercourses and/or if it is too windy to spray, or if there is a threat of rain. Again, follow the manufacturer’s recommendations for mixing and applying stump treatment. The solution used for stump treatment is much stronger than that used for spraying, but overall much less chemical is required, as the application is more targeted. Make sure your mixed herbicide is safely contained by using a ‘weed-wipe’. Once you are finished each plant it is a good idea to cover the treated stems with the cut leaves to protect the treatment from rainfall. The best time for treating Gunnera with chemicals is late in the growing season (late Aug/Sept), when the plants are fully grown, before the leaves die back. Whichever method is used, follow up treatments are likely to be necessary. Gunnera is very resilient and if the plants have reached maturity, their seeds will be in the surrounding area and are likely to germinate. However, every time the plant is treated it will get weaker, it will produce little if any seed and will be more susceptible to the next treatment. So don’t be disheartened, if the plant re-grows, just give it another go. If you don’t have the time or the equipment to remove Gunnera from your land then you can help by just removing the seed heads. At least this way you can effectively limit the spread of Gunnera. We strongly discourage Harris residents from intentionally growing Gunnera tinctoria because of the now obvious risk. 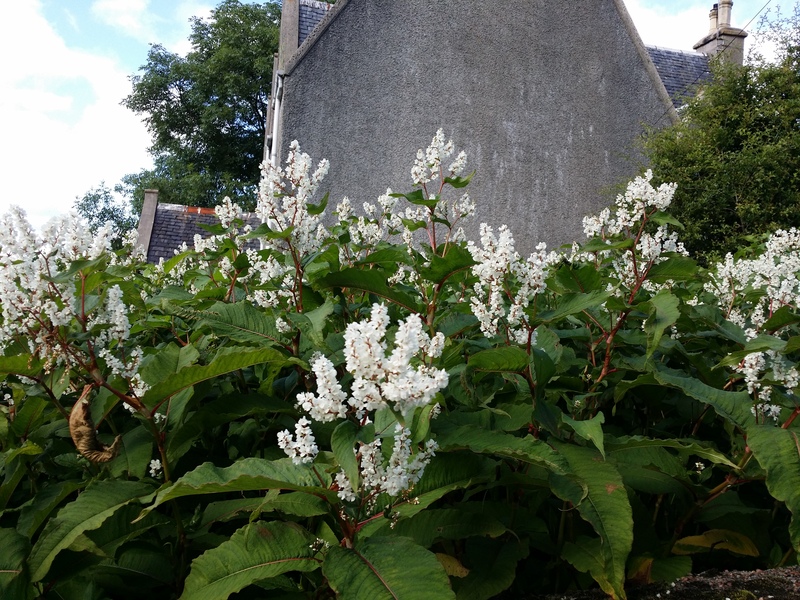 In Scotland, it is legal to grow Gunnera in your garden. However, it is an offence to allow it to spread onto neighbouring land. The full programme for the 2015 Isle of Harris Mountain Festival is now available! The Isle of Harris Mountain Festival is a week long celebration of the mountains of Harris, and takes place this year between 12th – 19th September. Download the PDF version HERE. Feel free to pass it around to anyone who might be interested!